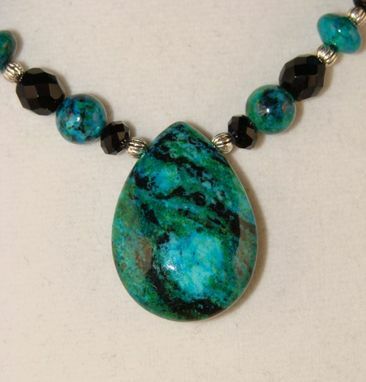 Lovely Chrysocolla drop, with a naturally occurring light blue heart shape! 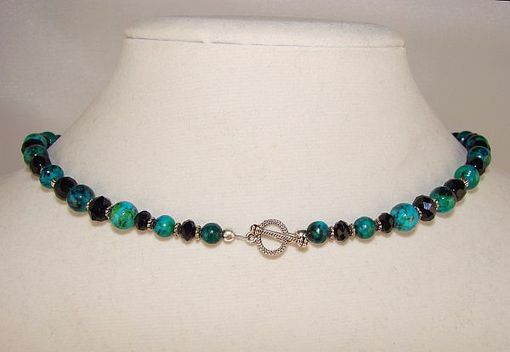 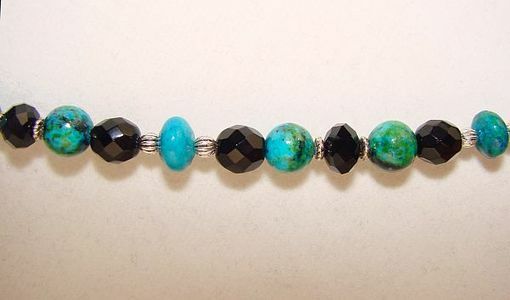 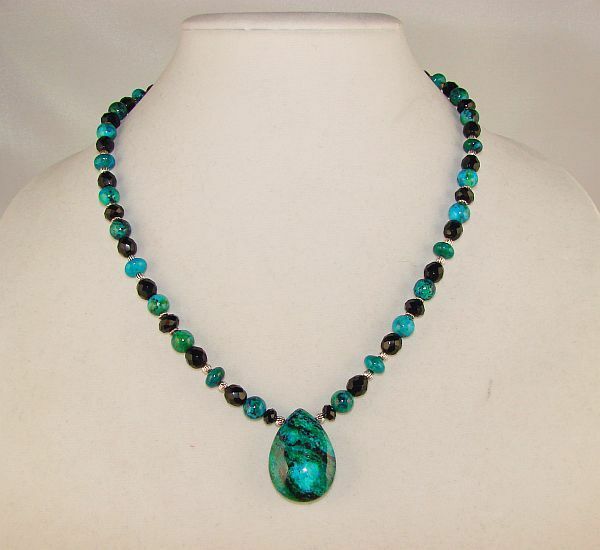 Chrysocolla rounds, rondels and black Czech crystals, silver plated toggle clasp. Matching Earrings available.